The past 2 weeks has been so crazy busy that I even haven't had the time to sit down and come up with a blog worthy post. I'm not complaining though. Okay, well, I complain sometimes when I get an awfully hard task but still, work has to be done. And at the end of the day, I could say that I am very much contented with my work. On top of that, I spend my weekends either with the family, the boyfriend or some of my closest friends. Yes, things are great. Finally was able to go back to Jupiter Street after ~6 months! Went to Mitsuyado Sei-Men last Saturday with the boyfriend to have a pre-Valentine's celebration. I do not dig Japanese food that much (lol I only know tonkatsu, katsudon and tempura) but Marion was craving for ramen and I was really curious about their Tsukemen, so we went ahead. Dianne and I also went to BRGR: The Burger Project today to have late lunch. More about those this week. I had few drinks with friends from work after our last shift. Work could sometimes be so stressful so we decided to eat breakfast then talk about our lives over a few bottles of alcohol. 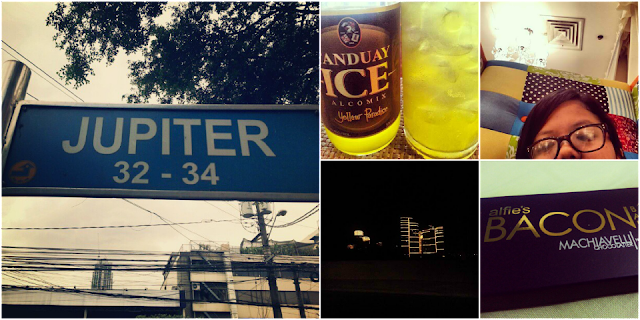 It was my first time trying the Yellow Paradise flavor of Tanduay Ice. Never really liked the blue and red one but this one is good. Already blogged about my 2nd visit to Vanilla Cupcake Bakery but I would just like to emphasize how much I loved this chair, I wish I could take it home. Sitting there just felt so damn comfortable! 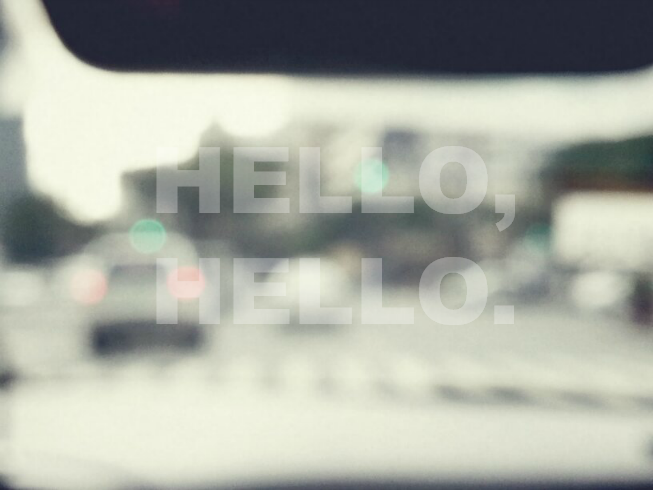 A photo I took while our cab was on the Buendia - Fort Bonifacio flyover (or whatever that's called). I met up with a few of my college friends for a little catching up. We ate at Slice at High Street and had coffee and desserts at Larry's Cafe in Serendra. And I was finally able to buy Cupcakes by Sonja! Yey! I really love spending time with close friends, it's like having your personal time machine. Somehow, the conversations always go back to the great days during college and the night gets filled with endless laughter. alfie's Bacon Bar -- a Valentine's gift from Fritzie! She told me she was choosing chocolates for her boyfriend when she saw this and thought about me. I guess she knows me really well! Hahaha. So many things have been happening lately and I just feel so blessed. I'm in the process of putting up something about my new food trips but I guess, most will be scheduled posts. I have an additional rest day next week so hopefully I can spice things up here.